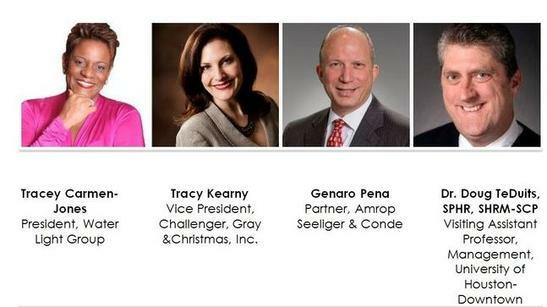 career tips | Challenger, Gray & Christmas, Inc.
"That doesn’t mean it’s easy. The margin of error is slimmer for workers in their 40s and 50s, who may need to continue building retirement accounts, writing tuition checks and supporting aging parents. Because of these obligations, many midlife workers can ill afford to take big pay cuts, part-time work or internships. That is the question. The answer is simple: Trust your gut. Your unconscious self, coupled with your gut, is an absolutely amazing thing. It’s probably one of the most miraculous things we as human beings have going for us. Unfortunately, many of us don’t listen to it; and large numbers of people continue to grind it out at unfulfilling jobs, under unfulfilling leadership. So… Why don’t we listen to our gut? My two brothers were angry when they first heard I’d be studying abroad, “This is BS, Dad! Why does Cindi get to study in Spain!? We never got to!” My father’s response? Simple.